When I was a kid I was 100% convinced that pink lemonade was made from pink lemons (yes, pink lemons do exist but unfortunately their light pink flesh juices run clear). Then for years I thought it was made by adding pink grapefruit juice to lemonade; it’s not. 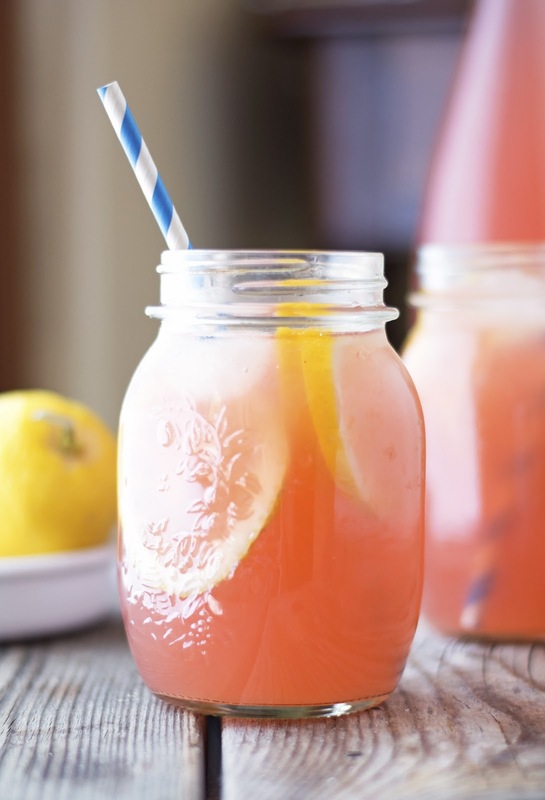 Pink lemonade is a popular cloudy variation of traditional lemonade made with added grape juice or cranberry juice, giving the drink its distinctive pink color. If the taste of pink and traditional are exactly the same, why does the former is more popular than the latter? Seriously, why is pink lemonade so much more exciting than the pale yellow that meticulously depicts the lemons from which it is derived? It’s a mystery to me — especially because I consider pink color suitable only for young girls and unicorns — but I will always reach for it first. I’ve read somewhere that the color of pink lemonade is relaxing, bright but not saturated and that people just want to feel they can unwind and with a color that’s so calming and youthful. That’s why it’s so much popular than traditional lemonade, that by the way has no real color. Anyways, this is mom’s recipe for pink lemonade. It has a lot of lemon juice, a bit of sugar, and just a drop of grape juice for just the right shade of pale pink. So much better than the powdered drink mix and honestly so simple, easy, and quick to make too. When you're in need of a simple and delicious drink recipe, this classic pink lemonade is a sure hit. 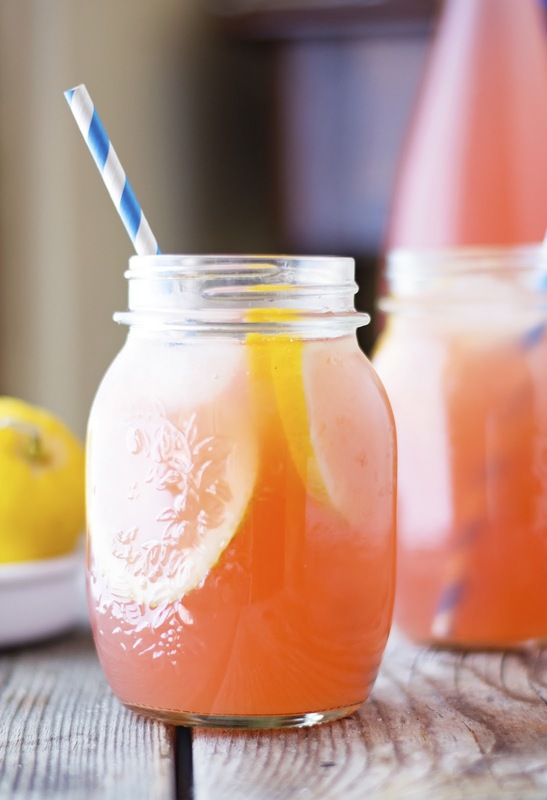 Because nothing says summertime like drinking pink lemonade out of mason jars. Am I right? Mom’s Pink Lemonade Print this recipe! Note. I like my lemonade pretty tart but you can adjust the measurements to make it as sweet or as tart as you like. In a small saucepan combine ½ cup water, lemon peel, and sugar. Bring to a boil, reduce to a simmer, and cook until the sugar is completely dissolved. Remove from the heat and set aside. In a large bowl combine remaining 5 cups of water, lemon juice, grape juice, and salt. 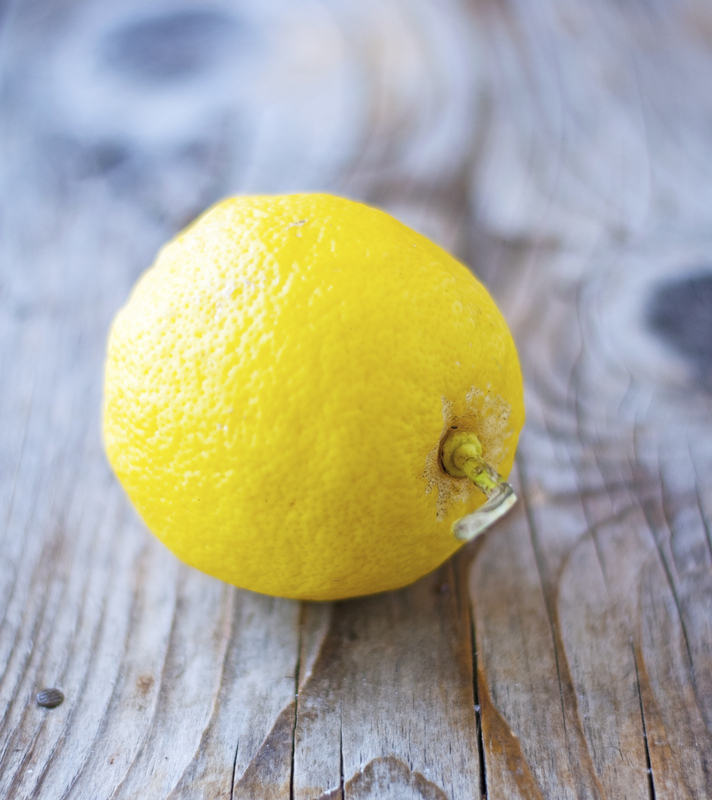 Remove lemon peel from the syrup and stir syrup into the lemonade. When ready to serve, pour into ice-filled glasses garnished with a couple of lemon slices. One serving (i.e., 1 cup) yields 66 calories, 0 grams of fat, 18 grams of carbs (15 grams of sugar), and 0 grams of protein.